This is the most famous climb in cycling world. No doubt. It is not the most difficult climb, nor the most steep. It is not the highest. Not even has the best scenery. Not sure other climbs have more history. It is the combination of it all, that makes Tourmalet so special. As a cycling fan, once you get to the top, you must make a picture beside "Le Geant du Tourmalet", the silver statue of a cyclist (said to be Octave Lapize, first cyclist to cross the col in 1910 Tour de France). This statue is removed during winter, and is kept in Gedre, beside Bagneres de Bigorre. Only beginning of each June, the giant comes back to its place, in an every time more popular congregation of cyclists, joining the geant in its way back. You should also stop at the mythical bar to eat something or drink a coke, but also to watch the old pictures on the walls, the old bikes hanging up there and smelling the cycling history. You must also enter the souvenirs shop and buy some shirt, pin or small gadget that after many years will make you remind you were there. Here you can see the profile, from both sides (Sta Marie de Campan and Luz Ardiden), and there is even a third side, which is the “Via Fignon”, the classic ascent from Luz that was substitued a few years ago for a wider road leading to the Bareges Ski Station. Via Fignon is now a bit abandonned but is still the oldest and most classic ascent from Luz St Sauveur. The legend began very soon. In 1910, first time that Tour de France included Tourmalet in the stages. Octave Lapize was the first rider to cross the Col du Tourmalet, having to walk much of the dirt road ascent. Lapize would win the stage and later the overall GC, the Frenchman's only Tour de France triumph. Lapize is noted for calling Tour officials "assassins" during the stage after tackling the Tourmalet. That first stage to use the Tourmalet, in 1910, was 326km long and also climbed the Peyresourde (1,569m), the Aspin (1,489m), the Aubisque (1,709m) and the Osquich (390m). In 1913, Eugène Christophe's best chance to win the TdF was dashed when he broke his fork on the descent of the Tourmalet. He was leading the race by approximately 18 minutes overall when the incident occurred, but lost several hours while he walked down the slope until he found a forge in Sainte-Marie-de-Campan where he had to fix his fork himself due to rules about not receiving assistance. Christophe eventually finished seventh overall that year. You will be able to watch the plaquette in Sainte Marie de Campan conmemorating this event. All this stories and much more you will be able to discover by coming with us from Barcelona. 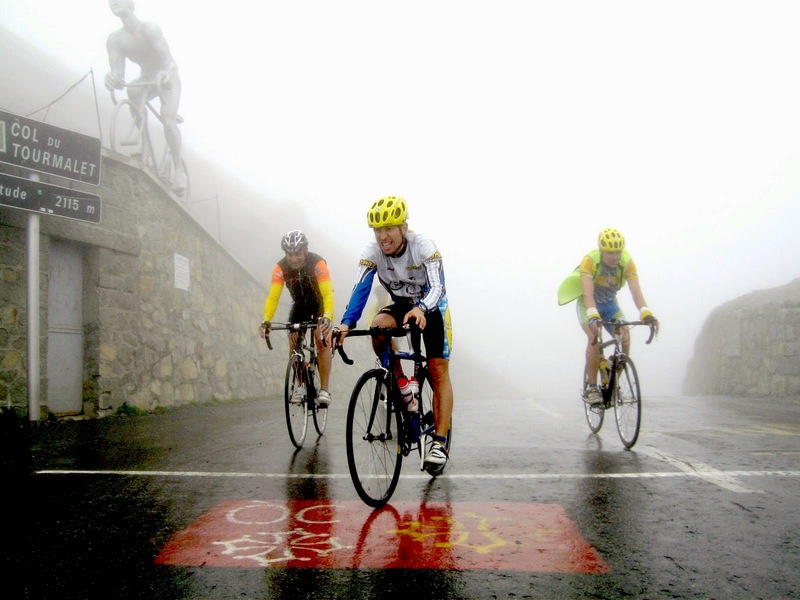 Barcelona Tourmalet is the challenge you were waiting for.